I don’t ride a motorcycle anymore. Despite my best intentions, I never replaced my beloved 1100RS that I sold before we left California. The motorcycle was perfect for the Bay Area, as it allowed me to use the HOV lanes, split lanes on any congested road, and park right up front for almost any venue, be it a restaurant, ball park, concert venue, or, the worst parking in the world – Google’s main campus. Being a family man, I used it almost exclusively for commuting, and it helped me deal emotionally with the traffic issues, making my daily commute a very reliable 20-25 minutes. So why didn’t I buy one here in Tennessee? There is a variety of reasons, including not having a place to store it, not having an HOV lane, and the simple problem of having yet another vehicle to maintain. However, the overarching reason is that you can’t split lanes in Tennessee. 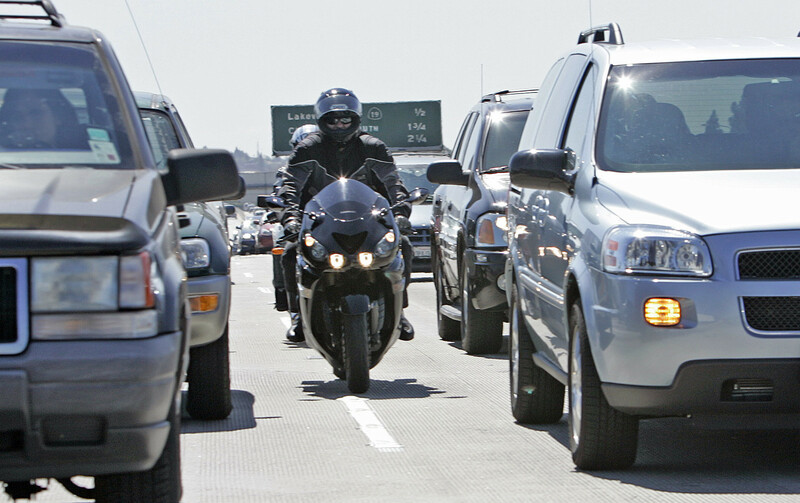 Splitting lanes is the ultimate in motorcycle freedom on our roads, and makes me feel like a rock star at every light as I slowly move up to the front row every time. It lessens my frustration with left lane bandits, allowing me to blaze past them in a second as they continue to ignore the general rules of the road (keep right except to pass…), usually because they are too involved in their phone conversation to pay attention to their speed. It simply allows me to get around obstacles that, if I am in a car, often leave me on the verge of road rage. If I can’t split lanes in Tennessee, I would end up even more frustrated, knowing that I have the ability, but not the legality, of getting around traffic. So why is it legal in California to split lanes but not Tennessee? Dang good question. Most non-riders (and some riders) believe it is unsafe. However, I now have more proof for my hypothesis that splitting lanes is safer than not splitting lanes. A study released out of UC Berkeley shows that splitting lanes is significantly safer. Don’t believe me? Read more here. It also shows, like all motorcycle accident studies, that if you don’t drink, are awake, are trained, and wearing the right equipment, motorcycles are almost as safe as cars. Since we just got wine in grocery stores allowed, maybe splitting lanes is the next progressive law to pass in Tennessee? I can only hope.